Purple Friday 2016 – All the Hot Deals! Here at Lent Madness, we love the color purple. Why? Because it screams penitential fun! Or at least it puts us in the mood, regardless of the season, for everyone’s favorite online Lenten devotion. This is why, once again, we’re excited to offer you some hot Purple Friday deals. While people have been queued up for days outside the Lentorium in anticipation of this year’s massive Purple Friday sale, you can cut the line by shopping right here on the Lent Madness website. The prices are unbelievable! Here are some of the bargains on Lent Madness stuff. And check around the Forward Movement site, because there are bargains a-plenty on other stuff too, including Tim’s holiday classic Dog in the Manger: Finding God in Christmas Chaos. Some items are discounted up to 50%! Can you imagine better stocking stuffers? Of course not, because these are the best! And it’s not just old stuff. This year’s bracket posters are massively discounted! 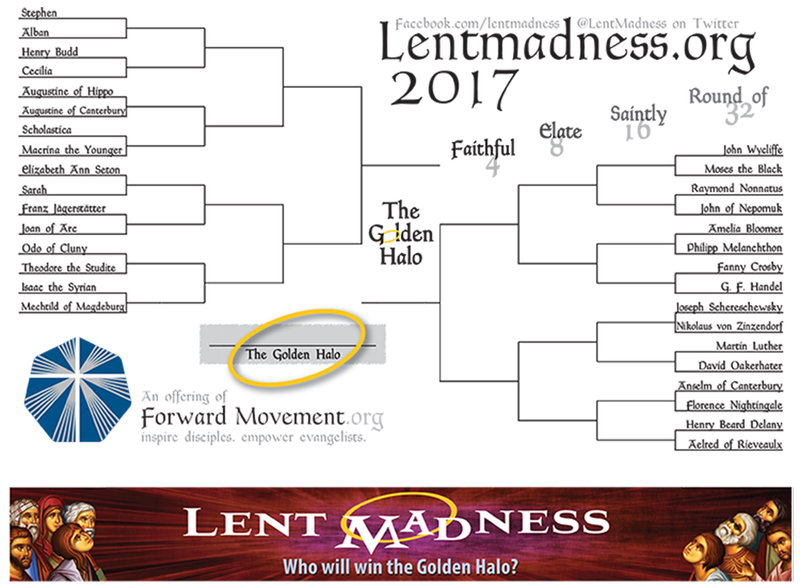 Get your own Lent Madness 2017 Giant Suitable-for-framing-or- maybe-even-an-art-museum Bracket Poster for just $9 instead of the usual $11. At that price, buy one for every single one of your Facebook friends! Remember to shop for other great stuff at amazing prices while you’re in the store. Sale lasts through Monday, November 28. Quantities may (or may not) be limited. Happy (inspirational, holy, Jesus-loving) shopping! 4 Comments to "Purple Friday 2016 – All the Hot Deals!" Whether I buy stuff or not, I simply cannot leave this LM mailing unanswered…Thanks for reducing stuff prices Padres #1 and #2. Hope I didn’t repeat “prices”…Oh well…stuffed from din-din yesterday. Happy New Year! Advent is here and purple festoons our altars once again (or blue). Here’s wishing everyone a blessed Advent and a glorious Christmas. I guess I missed it. Darn! I was too busy cooking turkey and hanging Christmas lights! 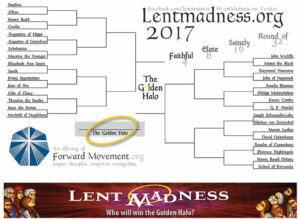 « Lent Madness 2017 Bracket Released!